Prague may be known for the Charles Bridge, Prague Castle or the Old Town Square, but I will definitely remember it for its desserts too. 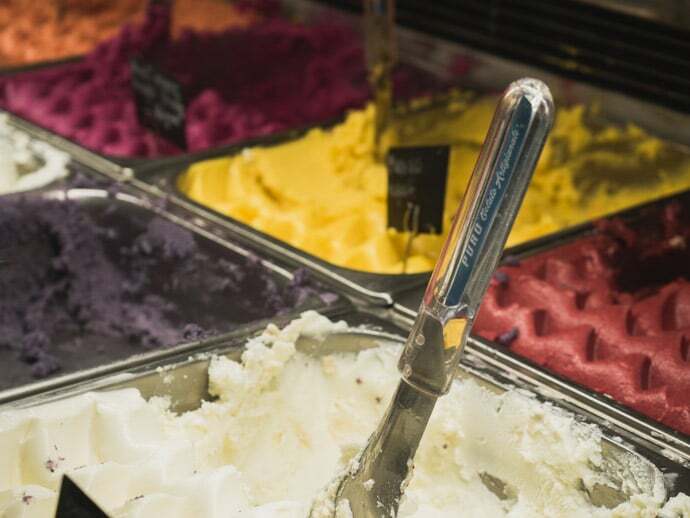 Prague has some of the tastiest desserts I’ve tried, from traditional Czech desserts and the best pastries in Prague to gelato. 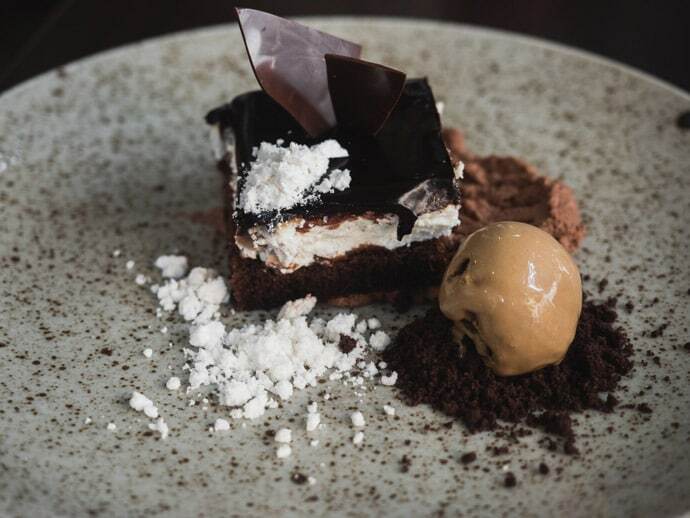 Here are what we think are the best desserts in Prague and Prague dessert places to try them. 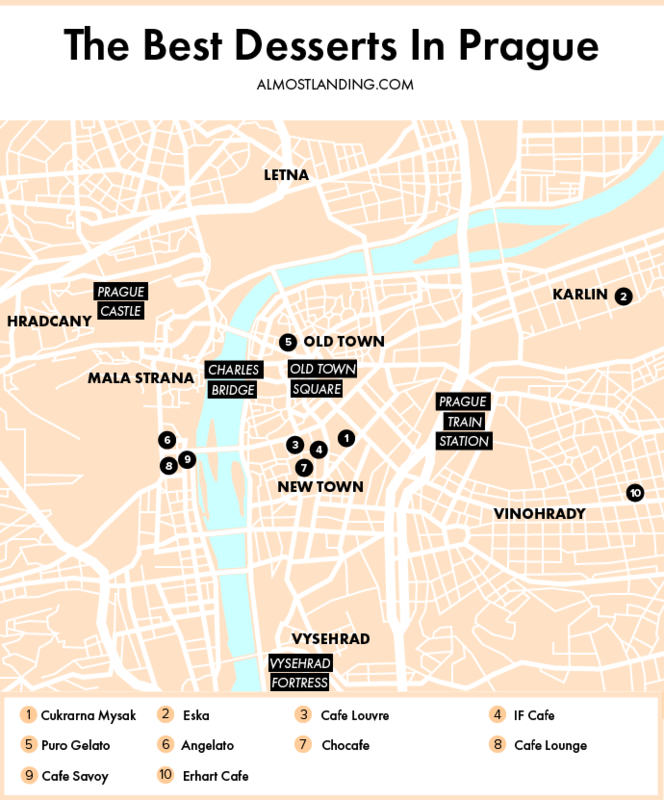 Here is our Prague Dessert map pinpointing all of the best dessert places in Prague. 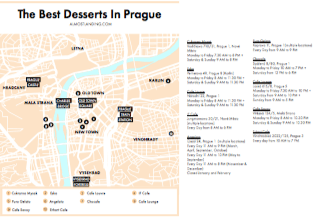 At the end of the post, you can download a printable Prague dessert map to save to your phone or print out and take with you for your trip to Prague. I’m not sure if I’ve just been lucky, but all the desserts I’ve tried in Prague have been so nicely balanced, and none have been sickly sweet. Mysak had some of the best desserts in Prague. A great place to try some delicious traditional desserts. We loved the vetrnik pastry, which is a choux pastry with vanilla cream, caramel whipped cream and a caramel glaze. Vetrnik is perhaps the best pastry in Prague. 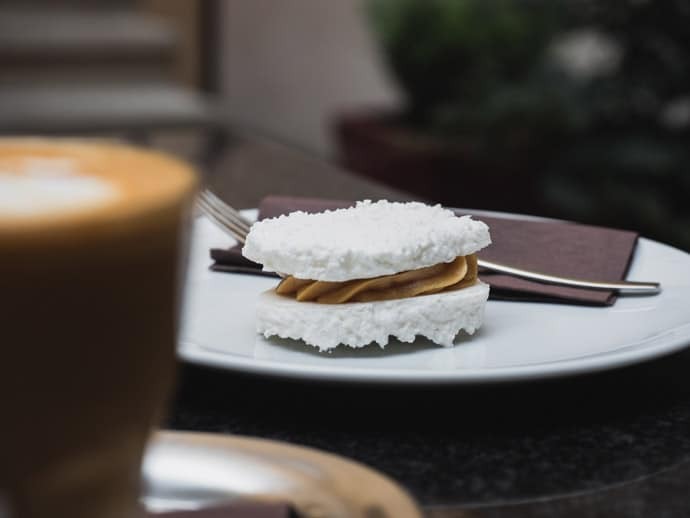 A must try is their modern take on kokosový dort, a coconut cake, which was so delicious, I can’t decide if it’s a good or bad thing I discovered it towards the end of my time in Prague. The design of Mysak somehow feels traditional yet modern at the same time, it’s a beautiful space. Mysak was actually a famous pastry shop that originated in 1904, in this location. 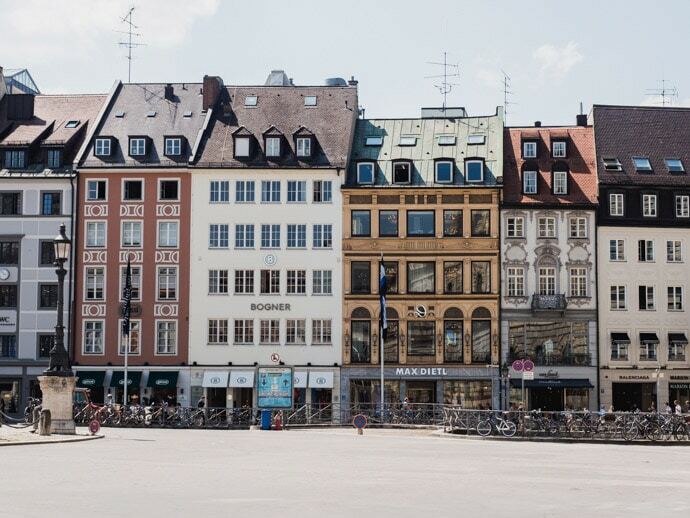 Although it had been shut for some time, and the building had actually collapsed in 2006, it has now been restored and reopened by the Ambiente group. 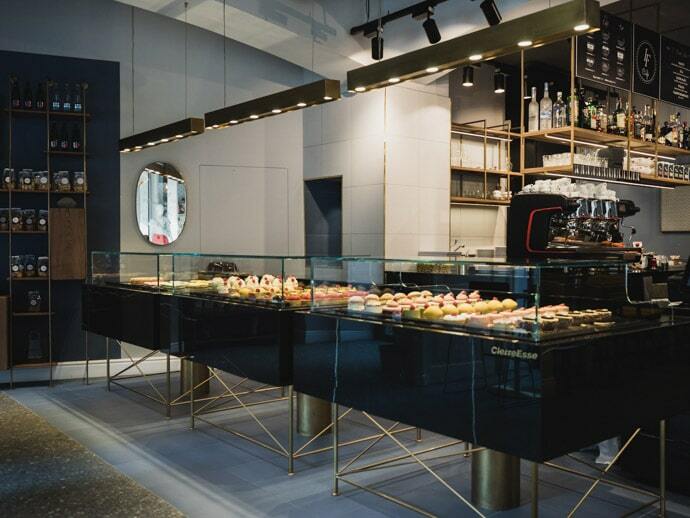 It is a modern take on the original pastry shop by František Myšák. Eska did everything well. I will never forget the kremrole I had here, it was delicious, flaky, light, creamy, marshmallowy and I could have had ten more. Every day. 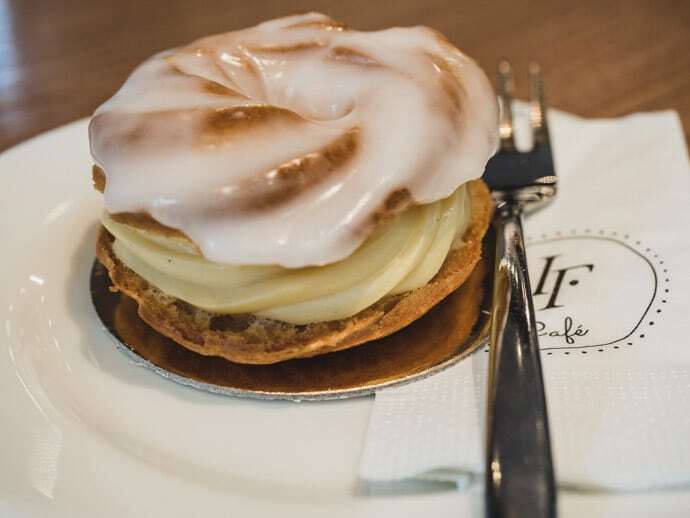 Eska’s kremrole was definitely one of the best desserts in Prague. All of their desserts look so so good. 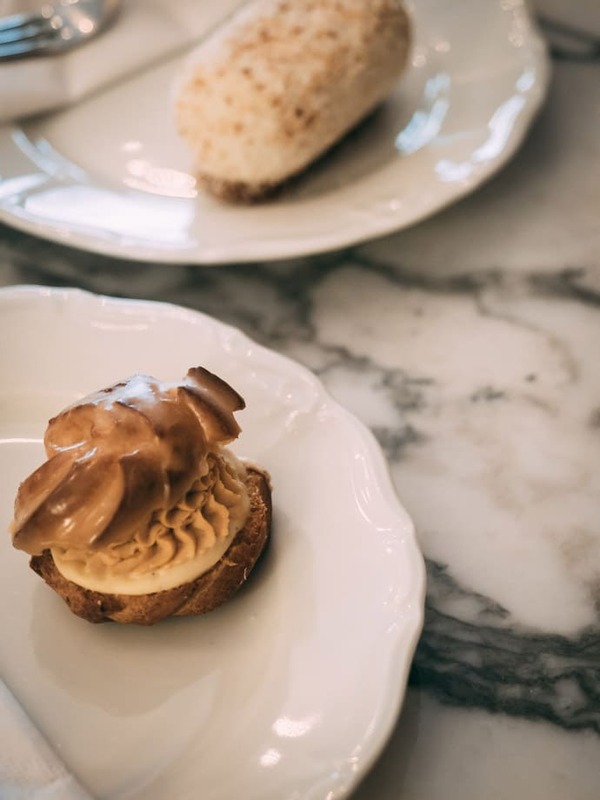 Although Eska is a restaurant, they also have a standalone bakery so you can pop in just to get these delicious treats. 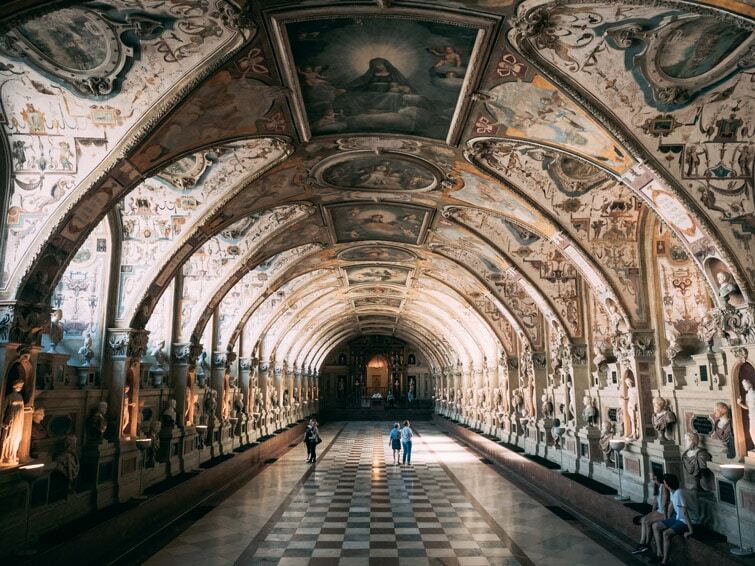 A traditional grand cafe established in 1902 and a place where Franz Kafka and Albert Einstein have come to dine. The traditional cafe design is what stole my heart here. I just loved sitting in the environment, stepping back in time. Here we loved the hot chocolate Louvre, which is a rich, thick hot chocolate served with whipped cream. Although it’s rich, their serving size is small which actually makes it more enjoyable. As much as we love modern coffee shops and restaurants that serve the most delicious food, a cafe such as this is about way more than the food and drink it serves. It’s an experience and history, and I think it’s so important to visit these establishments and keep their history alive. 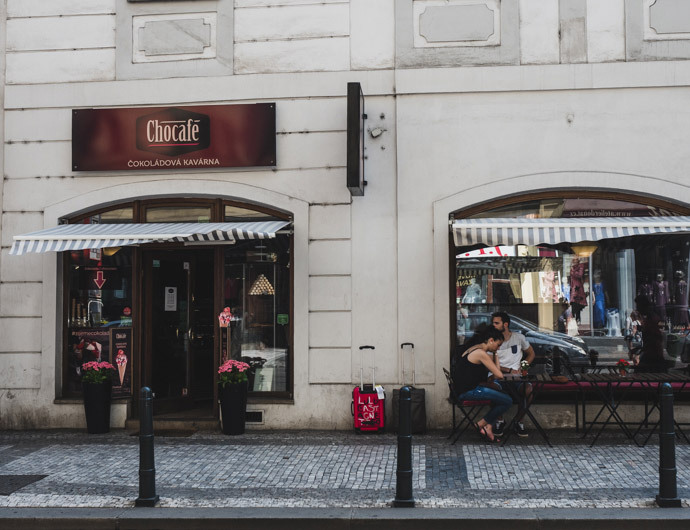 With a few locations throughout Prague, this cafe has delicious and pretty desserts, as well as other food options. 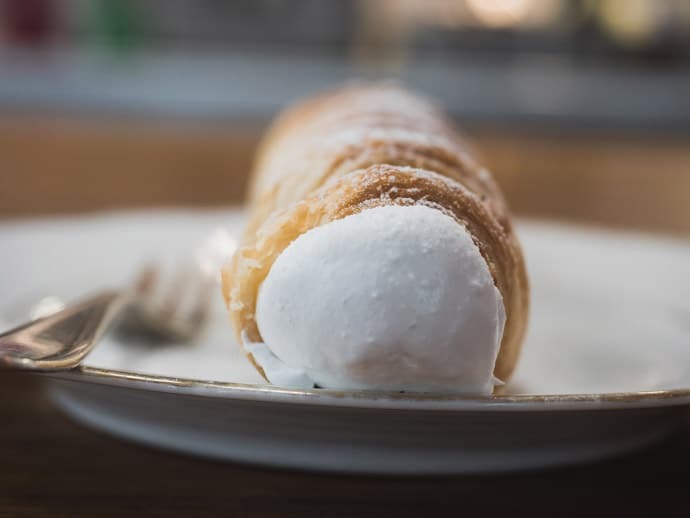 We loved the věneček, which is a cream filled choux pastry with icing. You can try some traditional desserts here as well as some more modern ones. 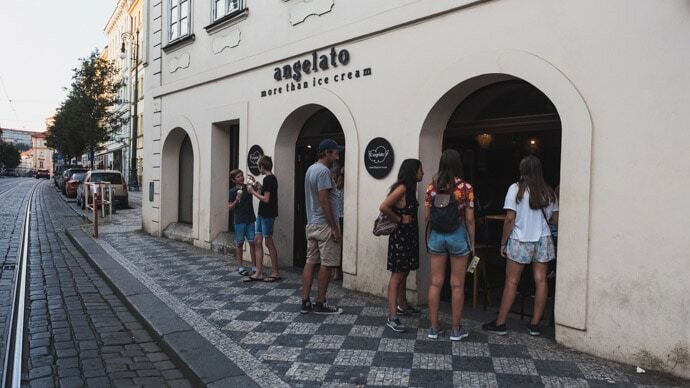 One of the best gelato in Prague, with a few locations throughout the city. We loved the mango and cucumber flavours, so so tasty. 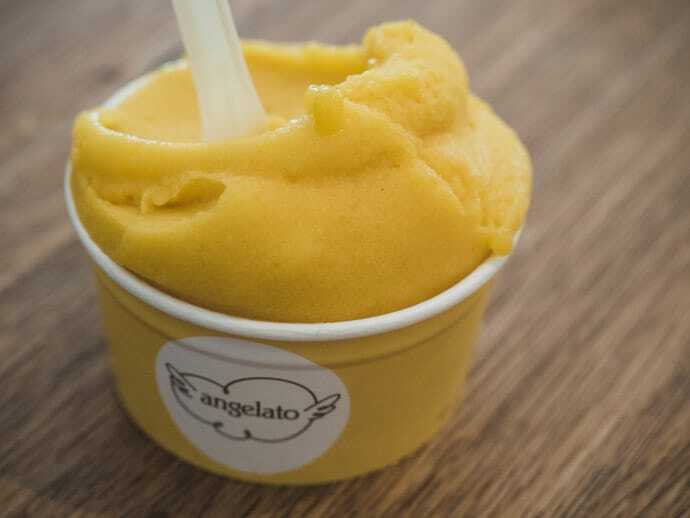 Another delicious gelato in Prague with a couple of locations, my favourite here was the mango sorbet. We were in Prague during a heatwave, with 35 degrees being a normal temperature throughout the day. So even though I wasn’t craving hot chocolate, I had to try. 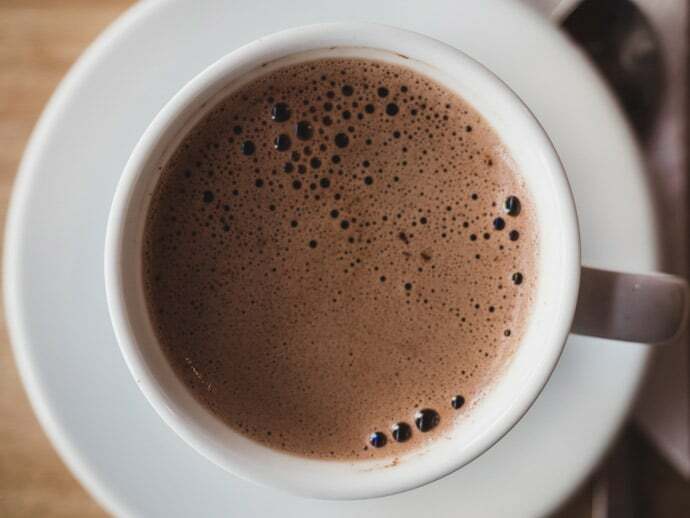 I loved their milk-dark hot chocolate and I’m sure it would be extremely enjoyable in cooler weather. It was a Belgian chocolate and not too thick. 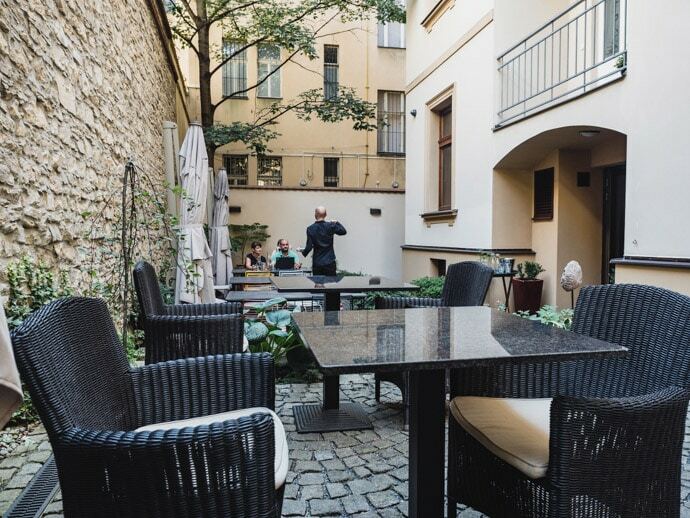 Cafe Lounge is a beautiful cafe/restaurant in Mala Strana, great for breakfast, lunch or dinner. They have a nice selection of desserts to choose from. We loved the Laskonka, which is a coconut meringue biscuit with caramel creme patisserie filling. If it’s a nice day, sit outside in their beautiful courtyard. Trdelnik is a polarising dessert in Prague. It’s actually not a traditional Czech dessert, I believe its origins are from Hungary or Slovakia. And if a dessert can be touristy, its the Trdelnik. You will see them everywhere you go. But, I must admit, touristy, traditional or not, if you have a freshly made Trdelnik, they are delicious. I didn’t actually try one in Prague, but in Cesky Krumlov, and the only thing I would recommend is to look for one that is being cooked, or that has just been cooked, not one that is sitting there ready. Trdelnik is a dough rolled around a stick and cooked, then rolled in cinnamon and sugar. 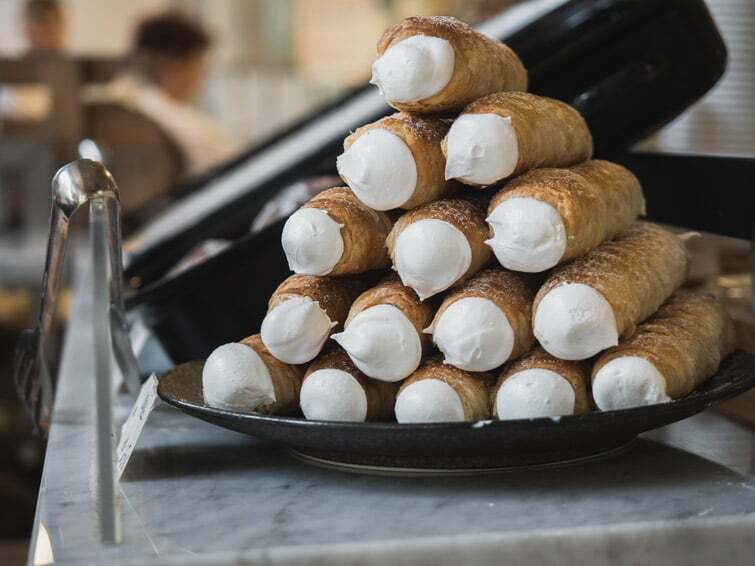 And they can be quite sweet, so although the chocolate covered, ice cream filled Trdelnik may look tempting, plain is best. 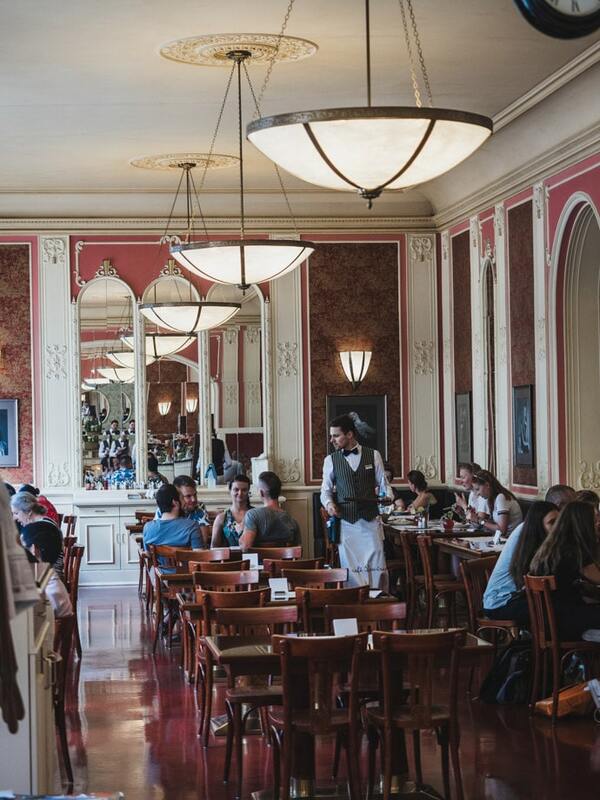 A grand classic cafe in Prague, established in 1893, popular for its breakfast, lunch, dinner. 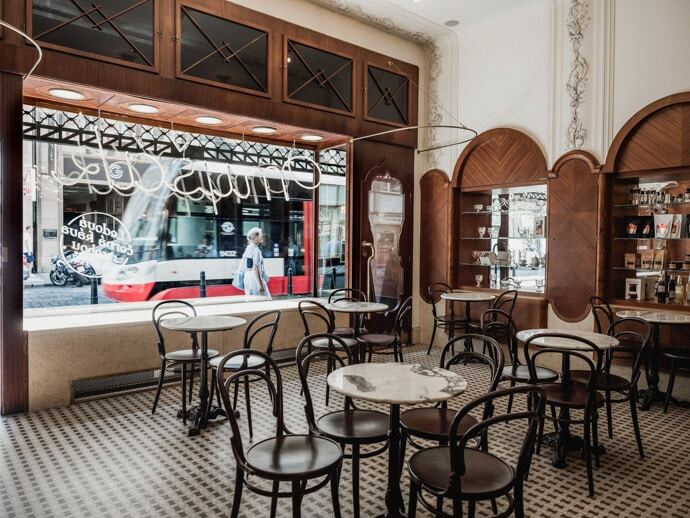 This is a beautiful traditional cafe in Mala Strana, known to have some of the best desserts in Prague. 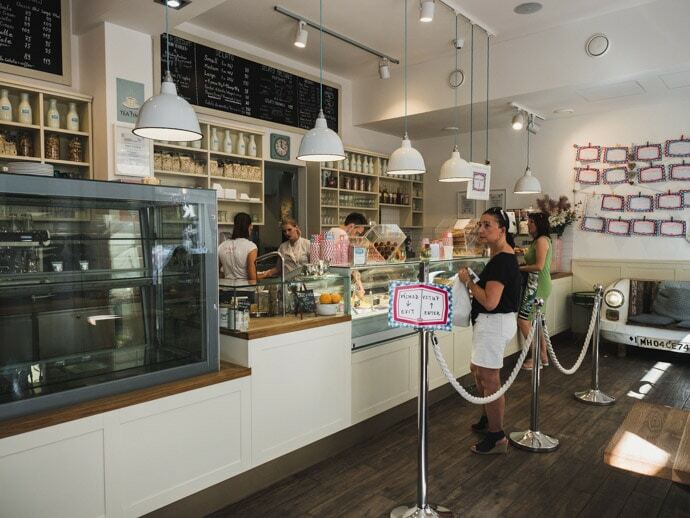 A bakery established in 1937 serving both traditional Czech desserts and modern cakes, with two locations. Misa cake, otherwise known as míša řezy, is a traditional Czech dessert that is a layered chocolate cake with cottage cheese and butter layer and chocolate icing. It is a tasty dessert that we tried at a fabulous restaurant, U Kroka in Prague. As U Kroka isn’t a pastry or dessert shop, we’ve just added it as a little bonus here. But I’d highly recommend U Kroka as a restaurant in Prague too. 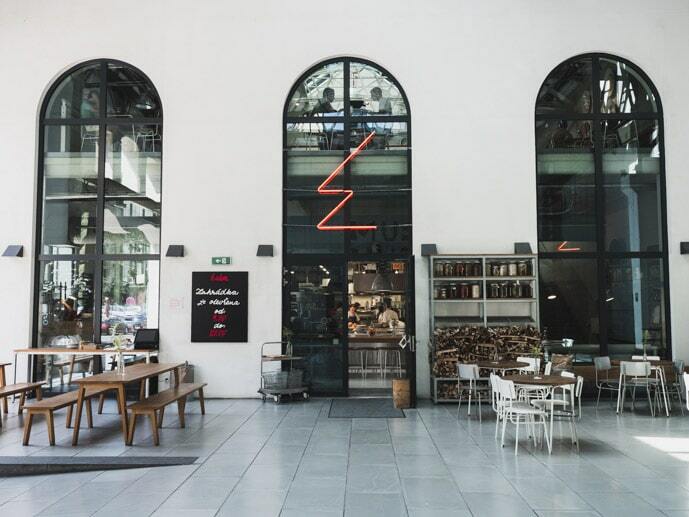 You can see all of our favourite places to eat in Prague here. 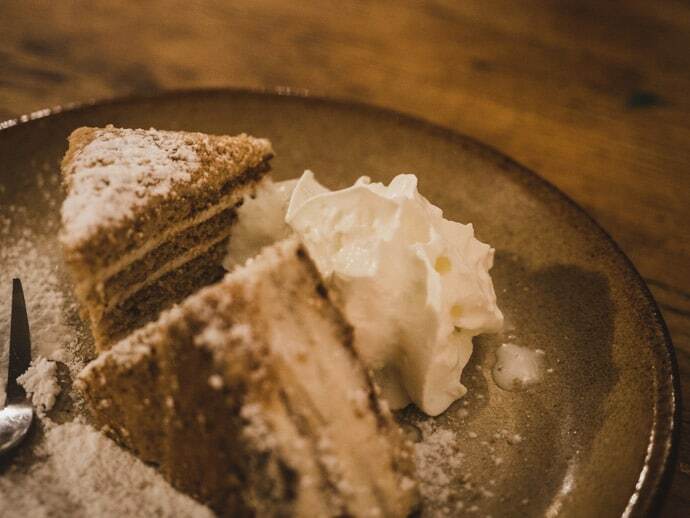 Otherwise known as Medovnik, it is a layered honey, nut and butter cake. 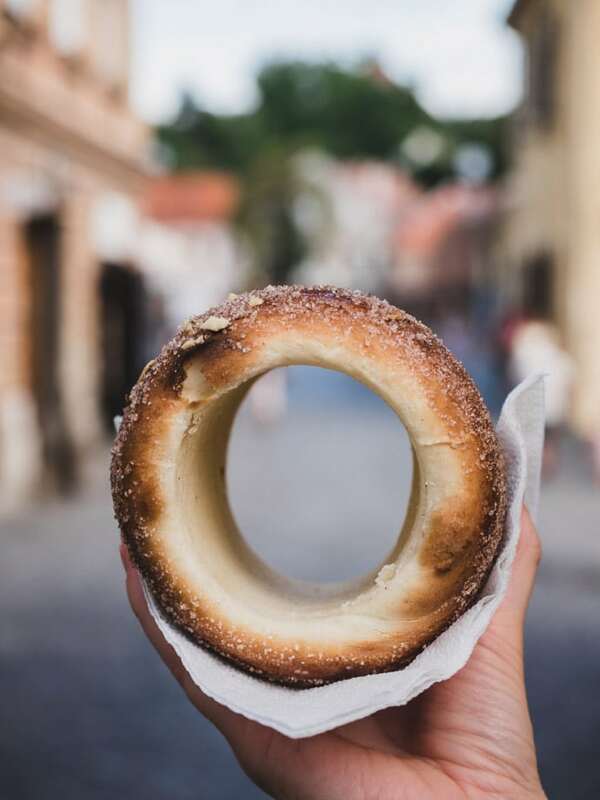 We tried this in Cesky Krumlov, but it’s a nice traditional Czech dessert to look out for in Prague too. Get your free printable Best Desserts In Penang Map (PDF) to take with you. 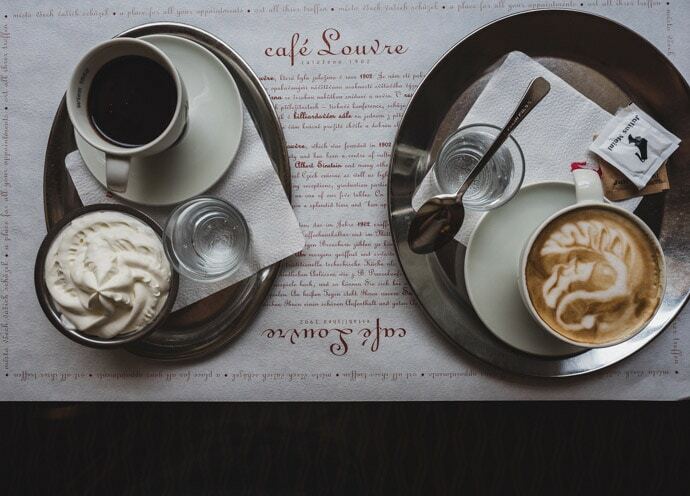 So that’s our favourite picks for the best desserts in Prague… what’s your favourite?